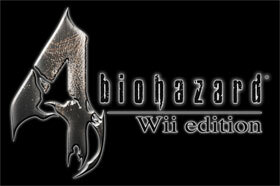 "Resident Evil 4 Wii edition" surpasses one million! Capcom is proud to announce that Resident Evil 4 Wii edition for the Nintendo Wii has shipped over 1 million copies worldwide. Since the release of the first Resident Evil game in 1996, the series has shipped over 33 million units (as of October 30, 2007) and is valued as one of Capcom's most original and cutting-edge titles worldwide. 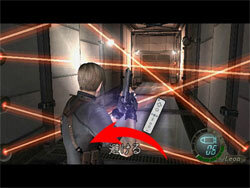 "Resident Evil 4 Wii edition" retains the overflowing intensity of the original Resident Evil 4 while bringing players a totally unique, new experience through the controls of the Wii Remote. In this way, by retaining the interest of the core fanbase and expanding outward toward new casual players through the Wii platform, Capcom has broken the 1-million-units milestone, and successfully captured the attention of a new set of users. It is Capcom's on-going plan to aggressively pursue the continued creation of unique and inspired creations for the Wii, including such titles as "Resident Evil: Umbrella Chronicles", which is set to go on sale on November 15th, followed by "Sengoku Basara 2 (Heroes) Double Pack" (November 29th), "We Love Golf!" (December 13th), and "Monster Hunter 3 (tri-)" (TBA). To stay at the cutting edge of the next generation of gaming, Capcom is committed to researching and developing new processes and techniques specific to each of the unique platforms to create a revolutionary gaming experience. Building on the success of last year's "Dead Rising" and "Lost Planet" for the Xbox 360™, and "Monster Hunter Freedom 2" for the PSP®, all of which were million-sellers, Capcom's success at shipping over 1 million units of Resident Evil 4 on the Wii this time reflects strong R&D facilities which have allowed Capcom to be a success on every major next-gen platform. As always, we at Capcom will continue to strive to develop new and original games that appeal to a broad audience around the world while expanding our properties for multiple platforms. *　Wii is a registered trademark of Nintendo Company, Limited. *　Xbox 360 is either registered trademarks or trademarks of Microsoft Corporation in the United States and/or other countries. *　"PSP" is a registered trademark of Sony Computer Entertainment Co., Ltd.